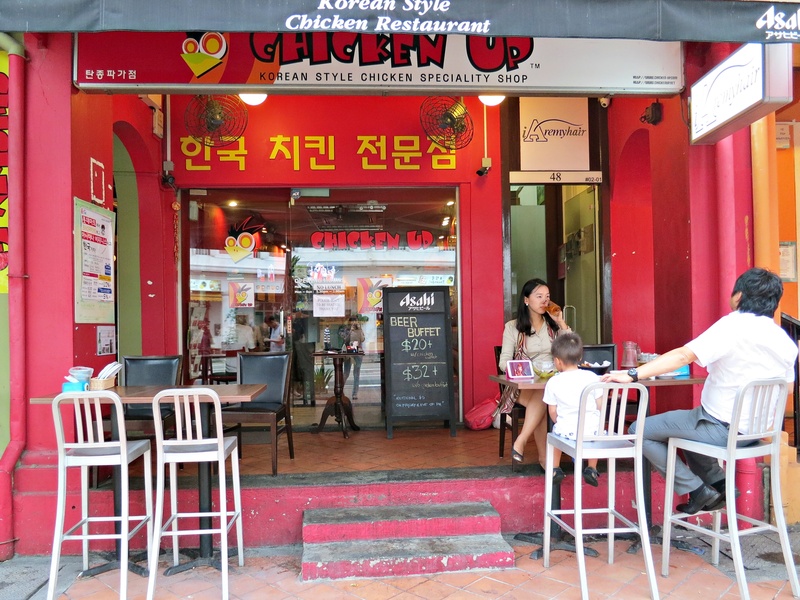 My friend, Seth, invited me for a media tasting at Chicken Up, a Korean Fried Chicken (yes, that is what the KFC stands for) restaurant at Tanjong Katong. 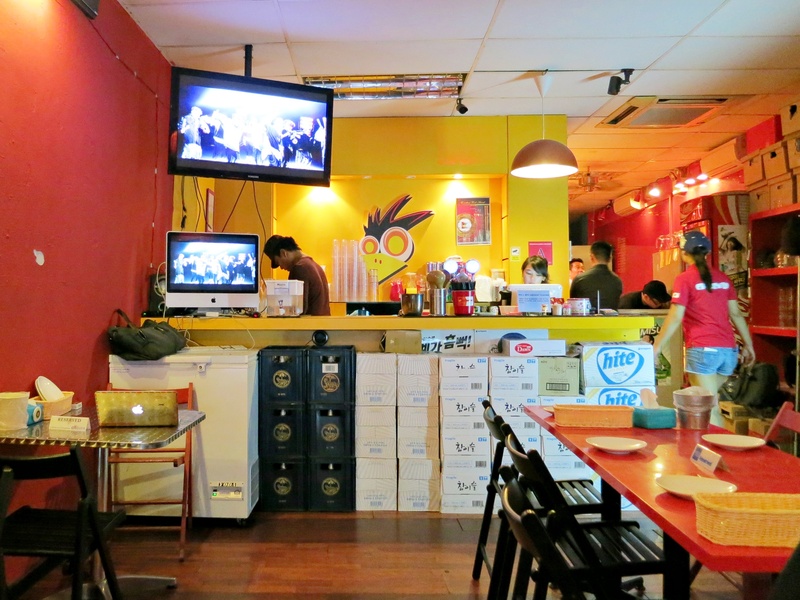 It is situated right next to the famous 2D1N Soju Bang Korean BBQ. The interior is of various shades of yellow and red, and for all you K-pop fans, there is a TV playing K-pop music videos continuously. As for those of you who do not appreciate such music, do not worry, it is neither deafening, nor is it exasperating.